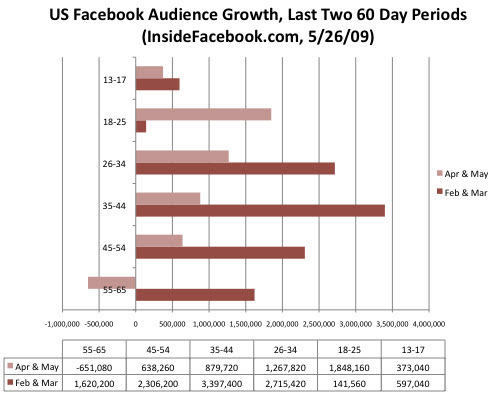 This is a big change from the previous 60 days which had shown considerable growth in that demographic. I can share anecdotally that my own mother, who is in her early sixties, joined Facebook a few months ago along with a number of her peers. From what I’ve observed she doesn’t necessarily know she’s doing half the time (sorry Mom!) but her and her friends seem to be sticking with it. Email is by far still the preferred tool for online communication and content sharing in her age group but social media is beginning to make inroads.